Forget all of that "lifestyle truck" nonsense. 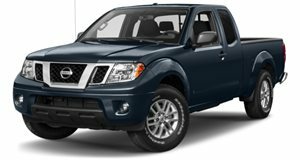 The current Nissan Frontier has been around since 2005, making it an industry dinosaur compared to its Chevrolet Colorado, GMC Canyon, and Toyota Tacoma competition. Even the Honda Ridgeline has been completely redesigned, although it’s not a true pickup truck due its unibody platform. But have no fears because a new Frontier is on the way and AutoGuide has confirmed that it won’t go the way of the Ridgeline "lifestyle truck." During a roundtable discussion at last week’s New York Auto Show, AutoGuide was told by senior vice president of Nissan North America Christian Meunier that “The Frontier has a future. Trucks are in our DNA, we’ve been doing them for a long time.” But will that next Frontier simply be a rebadged Navarro, Nissan’s respected mid-size truck sold overseas? "We’ll do something better than the Navarro," Meunier confirmed. "We like real trucks...(whereas the Navarro is more) like a Honda Ridgeline." Nothing else specific was mentioned, but we clearly understand what Meunier is talking about. The new Frontier will be a truck pickup truck, aimed squarely at its GM and Toyota rivals, as opposed to Honda. Another good sign regarding the Frontier’s future is the Mitsubishi factor. Remember, Renault-Nissan acquired Mitsubishi not long ago, and the latter also has vast experience in pickup trucks. Point being, Nissan and Mitsubishi could end up combining their respective truck knowledge to build a mid-size pickup that could potentially best the competitors in all major categories. The benchmarks are there. Nissan has the know-how. All that’s left is the will to make this happen.